Many school kids pitch in to work in the newspaper distribution in the mornings. Its a good experience to them, getting up early, helping their household with additional income, getting fit and many other reasons. 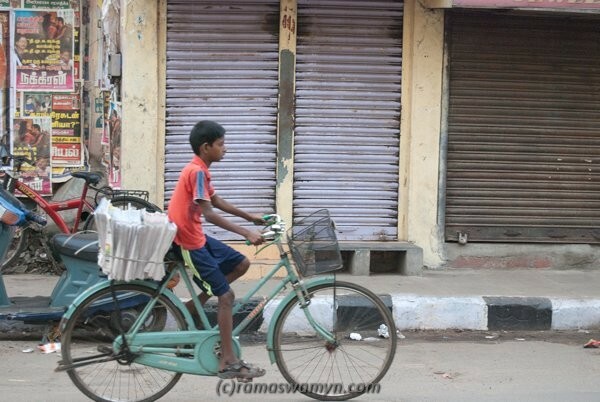 One such school boy in his bicycle carrying the morning newspaper in Triplicane High Road.